Finding the right temperature and time for cooking sous-vide can be confusing, as many sources (both online and in the few books that cover sous-vide cooking) state different ‘optimal’ temperatures. One of the reasons for these differences is personal preference. Although most foodies agree that medium-rare is the best way to serve a steak, there are those who prefer their steak well done (which in my book means ruining it). Sous-vide is a cooking technique for those of you that prefer medium-rare, because if you like everything well done you could simple boil and cook everything to death and be done with it. This reduces your risk of getting sick, but it also reduces the pleasure you get from eating! Sous-vide gives you perfect control over the temperature regardless of the cooking time, allowing you to serve medium-rare or medium meat that otherwise would not be safe (poultry or hamburgers) or tender (shortribs, pork shoulder, or lamb shank). It is not only the precision of the temperature that makes the difference, but also that with sous-vide cooking, the temperature does not necessarily increase with the cooking time! 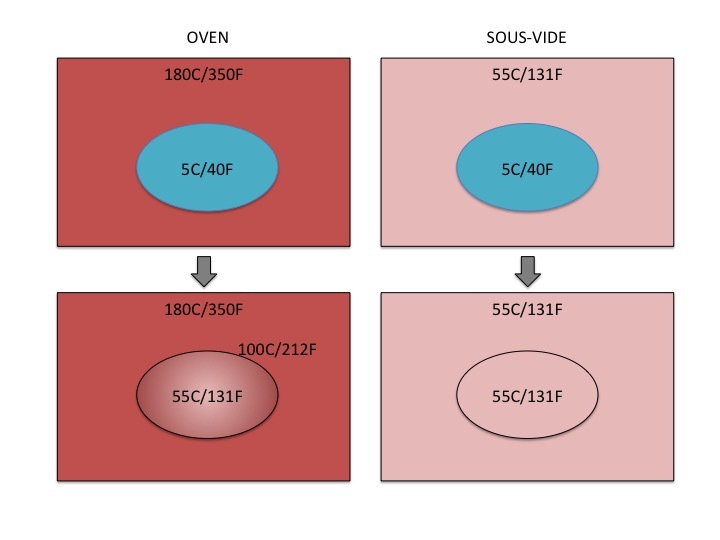 Read that last sentence again, because it is very important for understanding what is so different about sous-vide. If for example you cook a leg of lamb, a ham, or a whole chicken in the oven at 180C/350F, the core temperature will increase with time. The longer you leave it in, the hotter the core will become. This is why many recipes tell you to roast something until the core temperature reaches a certain value. At that time, the air around the roast will be 180C/350F, the outer layer of the roast will be close to 100C/212F, and the core will be whatever temperature you were aiming for (for example, 55C/131F), and the rest of the roast will be a ‘gradient’ between 55C/131F and 100C/212F. This means that the core of the meat will be perfectly cooked, but that the outer layers will be overcooked (and thus dry and less tender). There are two reasons for cooking until the core reaches a certain temperature: to make sure that the meat is pasteurized and safe to eat, and to make it tender. For both of those things to take place, a temperature of 55C/131F (if held for sufficiently long) would be enough. However, if you pull the roast from the oven once the core reaches 55C/131F, the core may not have been at that temperature long enough to be considered safe to eat and/or to become tender. If you leave it in longer, the core temperature will keep increasing, as the oven around the roast is at 180C/350F. And so to get the roast safe to eat and/or tender, you have to overcook it. In both cases the roast will start at 5C/40F (refrigerator temperature). When the core temperature has reached 55C/131F, the temperature of the roast will be a gradient in the oven and even in the sous-vide. If you leave it in, the core temperature in the oven will continue to increase, whereas in the sous-vide it will stay at 55C/131F. With sous-vide cooking, the ‘roast’ will be inside a plastic bag in water that is the same temperature as the desired core tempeture, e.g. 55C/131F. This means that no matter how long you leave the bag in the water, the temperature will never rise above that of the water, e.g. 55C/131F. This means that you can keep it at 55C/131F for as long as it takes to become safe to eat and/or tender, without overcooking! What does this all have to do with turkey breast? Well, if cooked the traditional way in an oven (or on the grill or on the stovetop), turkey breast is cooked to a core temperature 74C/165F to be considered safe to eat by FDA guidelines. And thus people are used to eating overcooked turkey breast and think it is undercooked and unsafe to eat when it is still slightly pink and juicy rather than white and dry. With sous-vide cooking however, it is possible to cook turkey breast at 56C/133F that is safe to eat, by keeping the core at that temperature for 35 minutes or longer as that will pasteurize it. Taking into account the time it takes for the core of the turkey breast to reach 56C/133F, the actual cooking time will need to be longer (from 1 hour for a slice of turkey breast that is 2 cm/.8 inch thick, up to 3 hours if it is 5 cm/2 inches thick). 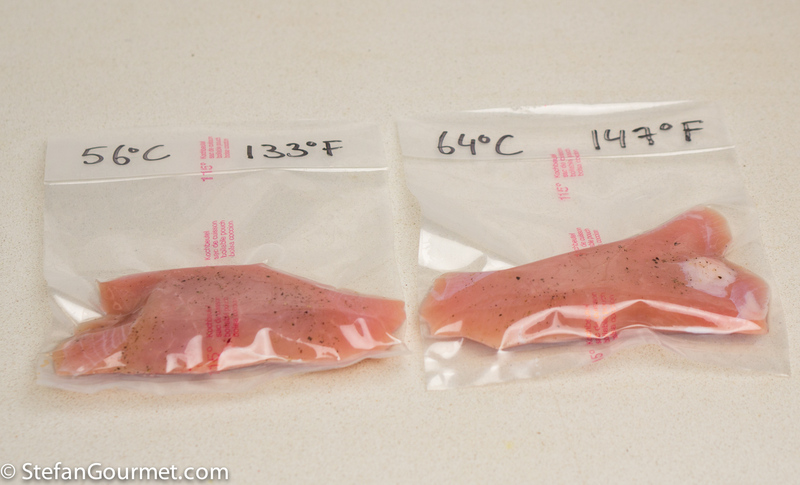 To find out the temperature for cooking turkey breast sous-vide that I like best, I performed a side-by-side experiment. I started with a nice piece of turkey breast. I sliced it into 1.25 cm (1/2 inch) slices, and seasoned them with salt and freshly ground black pepper. Then I vacuum sealed them. 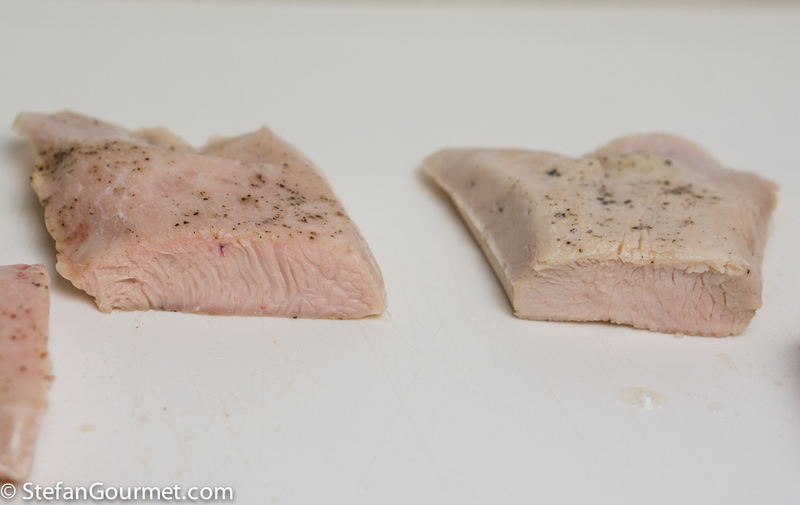 I cooked one of those slices sous-vide for an hour at 56C/133F, and another slice for an hour at 64C/147F, as those are two temperature most commonly suggested for turkey breast sous-vide. Both time and temperature combinations are safe to eat for such thin slices (but a longer time would be needed at 56C/133F for a thicker slice). This is what they looked like after an hour in the sous-vide. 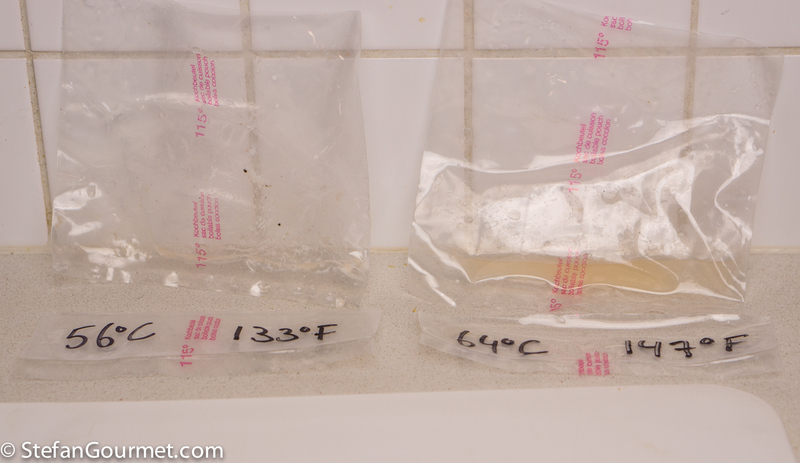 You can see the difference more clearly with the turkey taken out of the bag: the turkey breast cooked sous-vide at 64C/147F has lost considerably more juice than the turkey breast cooked sous-vide at 56C/133F (hardly any visible loss of juices). This is because a higher cooking temperature will make the proteins contract more, and squeeze more juice out of the meat. The outside doesn’t look very appetizing yet. A quick sear in some hot butter of olive oil will fix that. 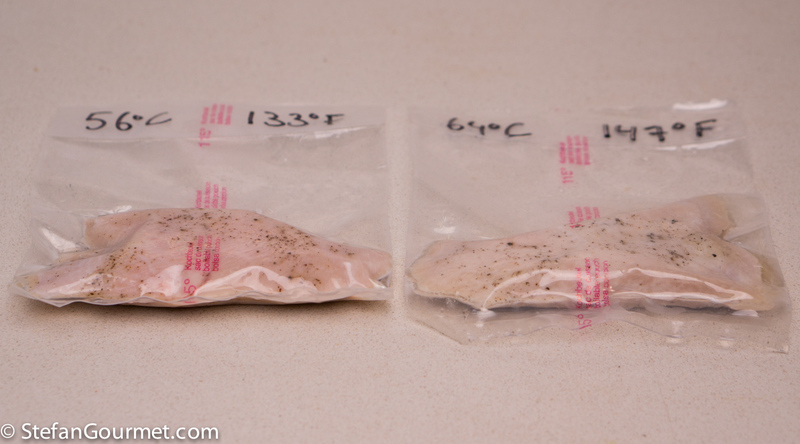 When cutting into the meat, you can see that the turkey breast cooked sous-vide at 56C/133F (on the left-hand side) is slightly pink and less contracted than the turkey breast cooked at 64C/147F (on the right-hand side), which is lighter in color and more contracted. When tasting, I preferred the turkey breast cooked sous-vide at 56C/133F, which can be characterized as ‘medium-rare’. 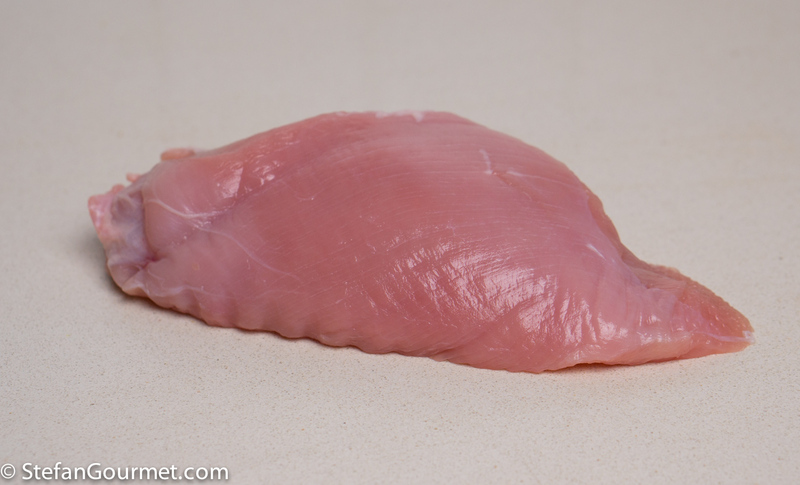 It is more juicy and more tender, and different from what you are used to from eating turkey breast. It is a whole new experience compared to traditional turkey breast, and a better one for my tastes. This is the temperature I prefer. 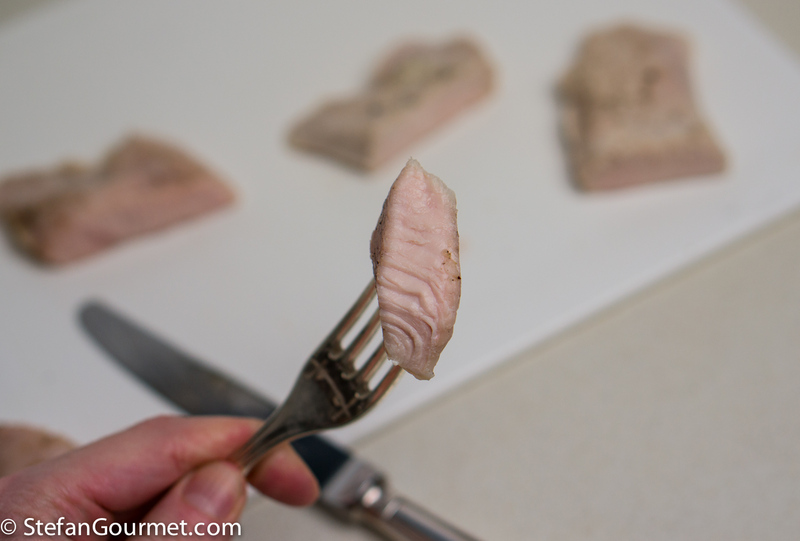 The turkey breast cooked sous-vide at 64C/147F is still nice, but not as tender and definitely not as juicy. I would characterize is as ‘medium-well’. This is more like traditionally cooked turkey breast, albeit still more tender and juicy and definitely not as overcooked as it sometimes can be. If you or your guests are not adventurous when it comes to food, are afraid of pink-colored poultry and prefer steaks well done, this may be a good option that is still superior to turkey breast prepared traditionally. But it is definitely not my preference. Wonderful post. Just getting well and truly into sous-vide cooking and enjoying experimenting. It is fun. I’ve been experimenting for five years now with sous-vide, and I still discover new things. Please don’t hesitate to ask any questions you may have. Senz’altro cucinato così il petto di tacchino rimane più “succoso”. No, non ancora.Il problema è che non so più dove mettete tutti gli attrezzi. This is a really good explanation of how sous vide can achieve things that other cooking methods can’t. The only thing I would add is that holding it at temperature can affect the texture of the final product without changing its doneness, since collagen and other components can still break down and denature. However, the fact that you can decouple doneness and texture in this way is actually one of the advantages of sous vide. Great post! Thanks, Simon. I was trying to go for a relatively easy explanation, that’s why I skipped the part about collagen and denaturing. You are right of course, and if it is held at temperature for too long the texture can become unpleasantly soft. That will be a topic for another post. Looking forward to the post! I’m glad to have found a blog that takes the time to cook good food and focuses on technique – there are so many out there just rehash the same 30-minute weeknight recipes. If you have a chance, please check out my website. I started it just a few months ago but I feel like we share some similar philosophies on cooking. Thanks, Simon, for the nice words. I will go and check out your blog now. I like your tests and explanations, they are very clear and informative. Pure Stefan. I love it. I must try some turkey in the SV. I haven’t a lot of time for turkey meat as it usually ends up dry and uninteresting. This might be the answer. It definitely won’t end up dry if cooked like this. You may still want to add some flavor though (like wrapping in bacon…). Another great, informative post, Stefan. I’d no idea that sous-vide would make it possible to eat med-rare turkey, It would be strange to eat a piece of med-rare meat that I’ve only tasted when cooked to death. I always reserve the breast meat of both turkey and chicken for sandwiches, finding it too dry to enjoy straight from the oven. This would certainly take care of that problem. Thanks for today’s lesson. it will John. And the same goes for any poultry white meat. The breasts tend to dry out easily when cooked the traditional way. 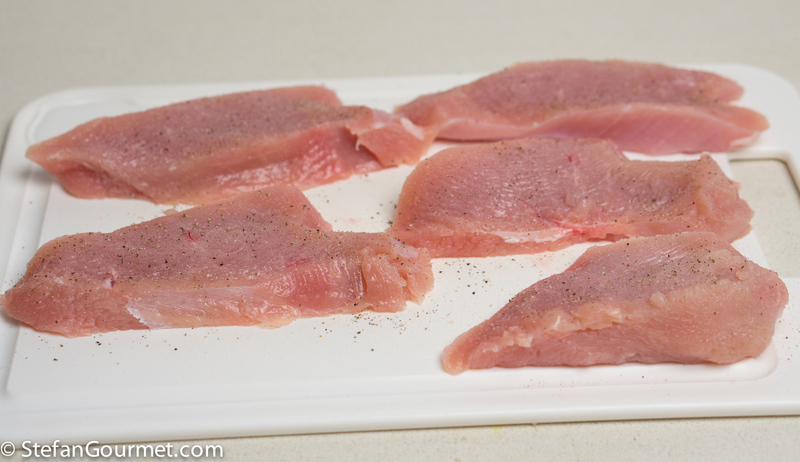 I hated eating chicken breasts my entire life until I started cooking sous vides a few years ago. That changed my whole perspective. 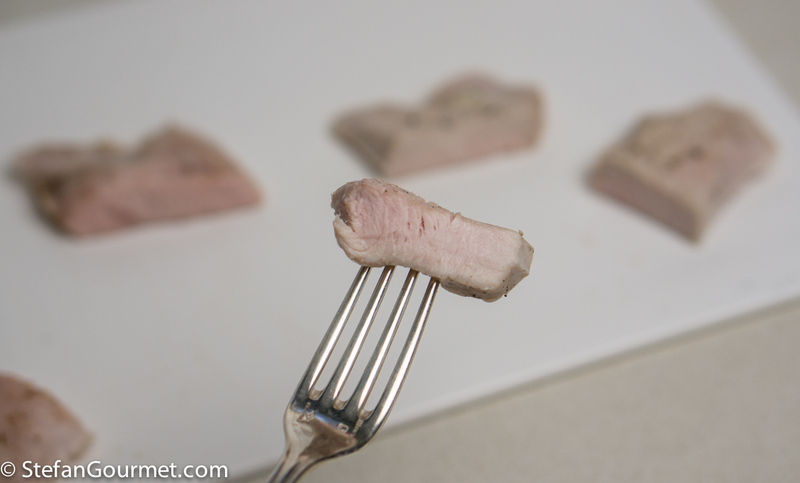 Let’s say this… white meat will easily compete with dark meat when cooked sous vide. One thing is worth mentioning. Cooking white meat SV is great and delivery a very tender and juicy result. Correct. Leaving the meat in the SV bath longer than needed will dry it out. The muscle fibres will continue to tense up and juices will be lost. It’s a delicate piece of meat, what can I say. Great article as usual. I agree with you, there is a preference factor in cooking temperatures and the resulting doneness. A personal preference. I find myself cooking and experimenting with lower temperatures the more I understand the pasteurization process just because… in my opinion food tastes better the less you mess with it. I’m very familiar with pink juices in poultry and was glad that you brought it up here (my girlfriend won’t eat any poultry with running pink juices period, it’s embedded in her brain that that is simply deadly). There’s a lot of misleading information about safe eating but not everybody cooks sous vides and not everybody wants to spend the time to understand pasteurization so cooking things to death is the practical way. I didn’t cook thanksgiving dinner last year because I was so busy with work but I was lucky enough to get my turkey fix regardless of cooking technique, I love turkey and oven roasted turkey is great and tasty but certainly dry compared to cooking with sous vide. I would only cook turkey sous vide and have in the past. Cooked breasts at 60C for a couple hours and it was great but I want to try your temperature suggestion. Thanks for the great article, love the graphics 🙂 ! I completely agree with you on not messing with food and thus not overcooking it. I think 60C turkey breast would be OK too, and maybe a nice compromise if 56C is too ‘extreme’. Great post. Refreshing, clear info on a topic that is oddly confusing, especially from widely differing advice from “experts.” Thanks for taking the time to approach it scientifically. It is much appreciated! My brother told me about posts he had read that provide advise completely to the contrary…. that is, that higher temperature SV turkey is more tender. The higher temperature doesn’t dry out the meat as it would in an oven, it just breaks down more proteins, resulting in a more tender bird. Everything I’ve read agrees with you, so that’s what I’ll do this year. I’ve not used the SV for turkey before, but I’m all set to go, except for times and temperatures. My bird is apart and brining now. Waiting for it’s “bath”. Any comments on the higher temperature suggestions? It is a fact that a higher temperature means more loss of juices, as the proteins become shorter and shorter and juice is squeezed out. For more tenderness the most important variable is time, not temperature. Longer at the same temperature will break down more proteins, with only little additional loss of juices. The tenderness at a high temperature like 74C/165F is completely different (very flaky!) than the tenderness at a low temperature such as 56C/133F. The reason why I called 56C/133F more tender than 64C/147F is mostly due to the juiciness. You can also see this in the picture: the low temp is more flexible and less contracted, which makes it appear more tender. The difference in tenderness is quite small, the juiciness is the main difference. Looks like you are cooking a whole bird? For the breast it would be better at 56C/133F, and a shorter cooking time. If you are doing a whole bird then 62C/144F will give acceptable results for the breast as well.